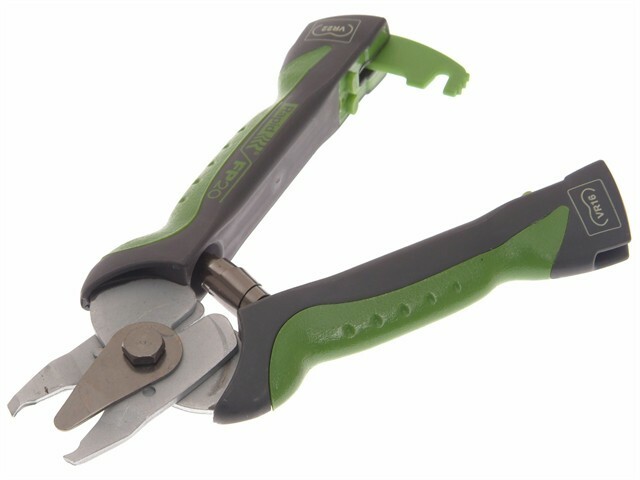 Rapid FP20 Fence Pliers are part of the 'Smart Gardener' range of wire fencing pliers designed to fix wire netting to fence wire. They have an ergonomic handle for ultimate comfort which locks for easy storage. These high quality and versatile fence pliers can be loaded with VR16 or VR22 hog rings with no magazine, meaning they are quick and easy to use.